ARENA has announced that 11 projects will share in $9.41 million as part of the short-term forecasting funding round, which has set out to improve the stability of the grid and make electricity cheaper. The recipients are located across Victoria, Queensland, South Australia and New South Wales, and make up nearly half of Australia’s registered wind and solar farms farms. The participating generators collectively account for 3.5GW of the renewable energy output in the National Electricity Market (NEM). The trial has been launched to find out whether renewable generators are able to forecast their future output for the Australian Energy Market Operator (AEMO) in almost real-time. Providing information to the market on a five-minute-ahead basis, the trial aims to improve the accuracy of energy forecasts from wind and solar farms as they bid into the NEM. Factors that affect the accuracy of forecasts in different weather conditions and environments will also be investigated. ARENA is undertaking the trial in partnership with AEMO, who have responsibility for predicting the output from wind and solar generators. Currently, AEMO provide centralised forecasts for semi-scheduled generators such as wind and solar farms, while traditional fossil fuel power plants are able to provide their own forecasts. If AEMO’s forecasts are inaccurate and there is a shortage of supply, the electricity system can become unstable and operating costs can rise. When AEMO overestimate the supply of energy, wind and solar farms are penalised for not meeting the projections, or forced to curtail production if the forecast is overly conservative and exceeded. ARENA CEO Darren Miller said the trials aim to create ways for wind and solar to do five-minute forecasts, just like traditional power plants. energy is now capable of providing accurate measurement of energy output,” Darren Miller said. Under market changes facilitated by AEMO as part of the initiative, wind and solar farms will be able to submit their own five-minute ahead forecasts to AEMO, for use in central dispatch. AEMO Chief Executive Officer Audrey Zibelman said it is important to support these emerging technologies as renewables make up a greater proportion of the energy mix. “As the market operator, we require the best possible information in real-time to manage the secure and reliable delivery of energy to Australian consumers, 24/7,” said Ms Zibelman. And they could one day be the powerful but invisible force helping propel Australia into a renewable energy future. But to harness the power of those winds, and the considerable potential for new pumped hydro energy storage schemes to allow Tasmania to act as a “battery of the nation”, further interconnection is needed to deliver electricity in both directions between the island state and the mainland. Late last year, the Australian and Tasmanian Governments announced their intention to jointly fund a $20 million feasibility and business case assessment for a second interconnector. With up to $10 million of funding from ARENA, TasNetworks is working on the most detailed analysis ever undertaken as to how a second Bass Strait interconnector could be designed and built. The feasibility and business case assessment will build on previous less detailed studies and answer questions that must be addressed before a decision to build the interconnector is made, including the preferred capacity, best route and location. TasNetworks has named the study Project Marinus – from the Latin word meaning ‘of the sea’, reflecting the marine connection between Tasmania and Victoria. This month, they will hold a number of public forums in both Victoria and Tasmania on the proposed interconnector. These public forums follow the release of the first consultation paper, which identified a link of 600MW to 1,200MW as being roughly the ideal size for a second interconnector to enable new renewable energy zones. In the consultation paper, the 600MW connection is projected to cost between $1.4-1.9 billion, while the 1200MW alternative is estimated to cost $1.9-2.7 billion. Tasnetworks is looking at several routes for an undersea cable to pass beneath Bass Strait, where it can connect to strong parts of the Tasmanian and Victorian electricity networks. The report predicts a second Bass Strait interconnector will improve energy reliability and security across the national energy market, particularly in Victoria and Tasmania. Expected costs and timelines for the project are being examined, as well as the additional infrastructure required to integrate the Marinus Link into Tasmania and Victoria. Project Marinus will also look at environmental and planning considerations, as well as best models for the link’s construction, ownership and operation. A new interconnector, should it be given the go-ahead, would be a key to unlocking the island state’s potential to act as “battery of a nation” and also be one of the largest infrastructure projects ever undertaken in the state. Tasmania already has significant hydro capacity and a growing number of wind farms, particularly in the state’s rugged North-West, where some of the best wind resources in the world blow strong and regularly. Four new wind farms are being planned or constructed, including Cattle Hill in Central Tasmania, which will produce enough electricity to power 63,500 homes when it opens in late 2019. But there is significant potential to build more wind farms over time and to use the energy they generate to meet the needs of other Australian states. 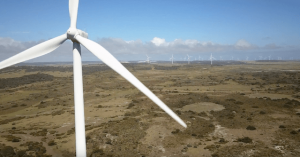 A 1000MW wind farm is already in the pipeline for remote Robbins Island on Tasmania’s north west coast, if a second interconnector goes ahead. Since Tasmanian wind farms rely on different weather systems than those in South Australia and Victoria, they can supply electricity at different times. This electricity would be a valuable and complementary addition to the NEM, helping to smooth the variability that accompanies wind energy at present. ARENA has already announced funding of up to $5 million for Hydro Tasmania to undertake feasibility studies as part of the Battery of the Nation initiatives. This work includes upgrading existing hydro power stations, identifying 14 high potential sites for pumped hydro and examining how wind power and hydro could help provide dispatchable, reliable power to other states. As renewable energy grows to comprise a larger percentage of the nation’s electricity the importance of storage for ensuring grid security and reliability also increases. The Battery of the Nation is, partly, an attempt to provide for those future needs. 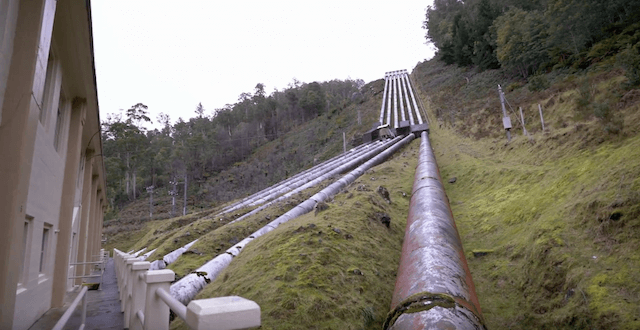 Here’s how it would work: Future pumped hydro projects in Tasmania could receive renewable energy from the national market when it is in plentiful supply to pump water uphill to be stored in reservoirs. When generation drops or demand surges in other parts of Australia, water would be released to run downhill, through turbines, generating hydroelectricity that could either supply the local market or be sent back to mainland Australia via the Marinus Link. A second Bass Strait interconnector would help to manage the risks associated with relying on a single interconnector, providing backup for Tasmania and Victoria in the event of a local shortfall or disruption to existing supply. Such a disruption occurred in 2015-16 when an extended outage of Basslink, combined with low hydro water storage levels, put pressure on Tasmanian energy reserves for an extended period. New storage level controls were put in place, but could be relaxed with greater interconnection, delivering greater benefits to customers. With Tasmania’s energy demand highest in winter, and the rest of the national market highest in summer, the existing Basslink interconnector supports Victoria as demand rises on the hottest days. A second link would allow these transfers to continue in the event that either interconnector is out of service. HAVEN’T WE LOOKED AT THIS ALREADY? A second interconnector has long been thought about but has become a more pressing concern as the security of the national market is thrown into focus, and the importance of energy storage in providing that security becomes clear. A preliminary report in June 2016 found that, if viable, a second interconnector would support long term energy security in Tasmania and integration of Tasmanian renewable energy into the NEM. A second report, in April last year, from former Australian Energy Market Commission Chair John Tamblyn, found that the project was economically viable in some future scenarios but not in others. The report recommends that the case for the second interconnector should be revisited if a number of scenarios emerge. Early work on the Battery of the Nation project has produced modelling that is more encouraging of a second interconnector, highlighting Tasmania’s potential to deliver benefits across the national market. Early work shows the benefits from a second interconnector could outweigh the costs by $500 million. The Australian Energy Market Operator’s July 2018 Integrated System Plan identified a future need for more dispatchable renewables and stronger interconnection. The ISP also recognised the the potential benefits to the national energy market from the Marinus link. Early-stage preparations for a second interconnector between South Australia and the eastern states are now underway, led by Electranet. The Tamblyn report found this would be vital to making the economic case for a second Bass Strait interconnect stack up. TasNetworks will provide an interim report on the feasibility of a second Bass Strait interconnector by the end of 2018, while the full feasibility and business case assessment for Project Marinus is expected to be completed by the end of 2019. 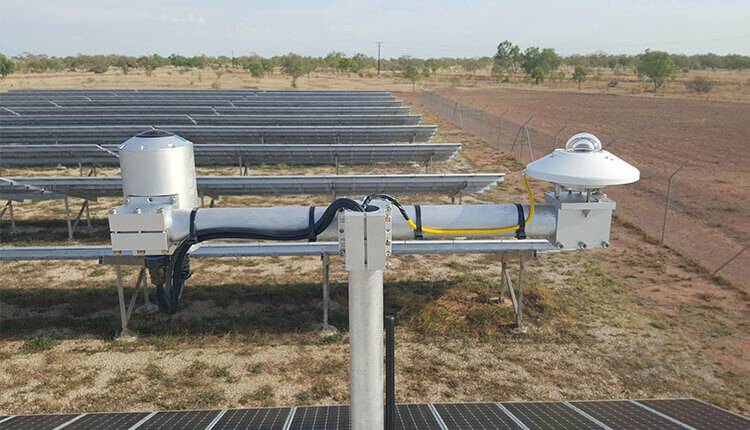 The Australian-first trial tested whether the Hornsdale Wind Farm 2 could be remotely controlled to deliver Frequency Control Ancillary Services, and the initial results are promising (FCAS help keep the power system in tune at a stable frequency). Trialled over the peak 2017-18 summer period, the wind farm delivered across six of the eight different FCAS markets and met the project’s objectives. Without any major outages during the trail, the potential for the wind farm to deliver full FCAS contingencies could not be evaluated. Together with the Hornsdale Power Reserve (aka the world’s biggest battery), Hornsdale Wind Farm 2 lowered FCAS prices from the historically observed $9000/MWh to just $248/MWh. AEMO expect that reduced the cost of the five-hour local South Australian FCAS requirement by approximately $3.5 million. The successful trial has led the Hornsdale 2 Wind Farm to now be registered and offering FCAS in the National Electricity Market (NEM) – another first for an Australian wind farm. Read more about the trial at AEMO Energy Live. In an Australian first, the Australian Energy Market Operator (AEMO), the Australian Renewable Energy Agency (ARENA) and South Australia’s Hornsdale Stage 2 Wind Farm (Hornsdale Stage 2) are collaborating to trial whether a wind farm can provide important power system stability services. HWF2 has been developed by French renewable energy company Neoen in conjunction with international infrastructure investor, John Laing. FCAS is used by AEMO to maintain the frequency on the electrical system, at any given point in time, close to fifty cycles per second as required by the NEM frequency standards. Put simply, FCAS provides a fast injection of energy, or fast reduction of energy, to manage supply and demand. “The evolving generation mix in the NEM is changing the way AEMO operates both the grid and market. This trial will enable us to test new and emerging technologies that could supply services the market will need in future,” said AEMO CEO Audrey Zibelman. Neoen Australia’s Managing Director, Franck Woitiez said the partnership signals the shift towards a more sustainable Australia focused on exploring future energy supply services. “South Australia in particular is leading the charge to secure a more sustainable energy future so we’re proud to be working with ARENA and AEMO on this trial at our Hornsdale Stage 2 Wind Farm. This project will show the potential of renewable resources like solar and wind power to provide Australia with controllable, clean energy that can keep pace with future demand,” said Mr Woitiez. ARENA CEO Ivor Frischknecht said the FCAS trial would test the NEM’s ability to fully integrate renewables and further facilitate Australia’s transition towards renewable energy. Subsequent to testing the ability of HWF2 to provide FCAS services, the trial will also demonstrate the technical capability of Type 4 wind turbines to be remotely controlled by AEMO.